There are few foods that, when properly stored, withstand spoilage so well as hard tack candy—unless you count that 1400-year old cheese found in an Irish bog in 1987. Whether consumed in lozenge, cane, or lollipop form, boiled and molded sucrose requires the action of the tongue, saliva, and heat to wear it away, conveying a sensation of fruit or mint, raising blood glucose levels, and stimulating hyperactivity. An added attraction is that it can be willfully manipulated to intensify or prolong the flavor, although there are adverse side effects, including belly ache and depression in the short term and tooth decay, diabetes, and cardiovascular disease in the long term. These sweets present a certain contradiction, at once slight and colorful in aspect yet potent and even dangerous in effect. Upon returning from a trip to Seattle, the office administrative assistant heralded me with a present. Handing me a sucker, she declared, “It’s Marie-Antoinette!” I was delighted to receive a white hollow tube supporting a flat, molded head consisting of a face reminiscent of American plastic dolls of the 1940s and a coiffure recalling French powdered wigs of the 1770s. 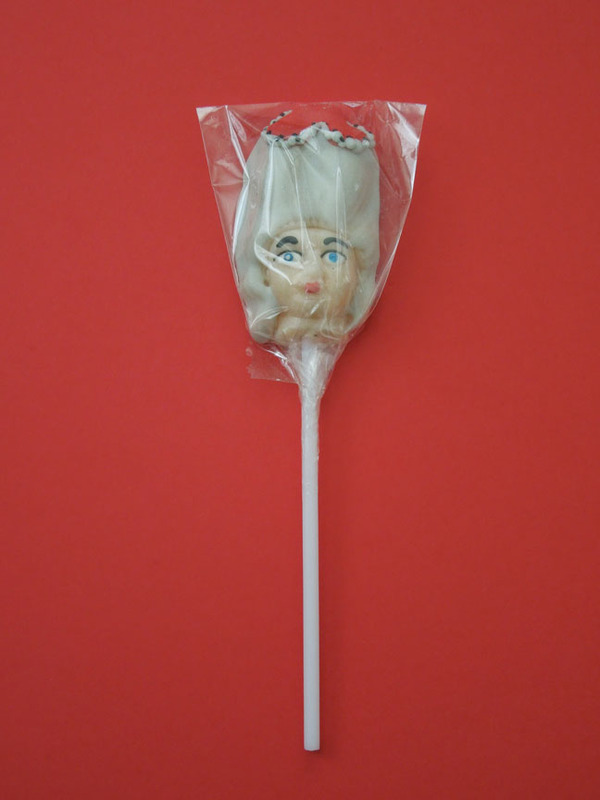 This cherry-flavored Head Pop was one of legions created and distributed by Archie McPhee & Co., an offbeat novelty shop located in the Wallingford district of Seattle. Orange Abe Lincoln and watermelon Sigmund Freud pops are also popular fare. I had always recoiled from such mass-produced retrospective products as being in the same category as glass-eyed Victorian dolls and rubber Howdy Doody puppets. Yet the edible head of the last queen of France held special resonance because its royal referent had been decapitated in Paris on 16 October 1793. What does it mean to consume this doll’s head with historical awareness? 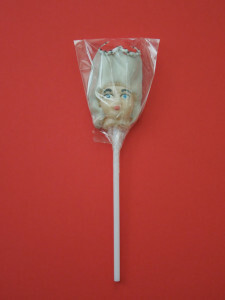 Marie-Antoinette Head Pop, manufactured by Archie McPhee & Co., Seattle, 2011. In late eighteenth-century political culture, the lifeless lollipop oscillated in signification between an honorific effigy on a pedestal and a grisly trophy on a pike. With regard to the former signification, the sculptor Louis-Simon Boizot perhaps did the most during Louis XVI’s reign to establish the illusion of Marie-Antoinette as a sober, dignified physical presence. 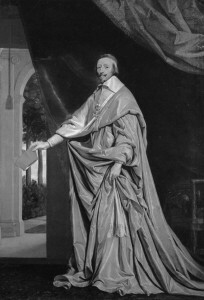 Successively pupil of Michel-Ange Slodtz, fellow of the French Royal Academy in Rome, academician at the Royal Academy in Paris, and director of ateliers at the Royal Porcelain Manufactory at Sèvres, he produced a series of portrait busts of the queen in plaster and translated them into marble for court patrons like the foreign minister Vergennes (1781) and biscuit porcelain for foreign visitors like prince Kourakin (1782), who displayed them prominently in gilded salons as an official sign of the sovereigns’ authority and regard. The Seattle confection bears the greatest resemblance to the Vergennes quarter-length due to the blank stare and the highly piled coiffure. At three feet by one foot nine inches, the bust is an officious and idealized rendering consisting of an elongated oval visage with almond eyes, aquiline nose, and prominent lower lip, the hair pulled back from the face and set into an elaborate pile incorporating a pearl diadem, a satin pouf, and a spray of roses; a cascade of curls provides a transition to the long neck and prominent bosom, accentuated by a low bodice trimmed with pearls and lace, the whole tied with a velvet wrap embroidered with fleur de lys and lined with ermine. Contemporaneous viewers were not impressed, as the critic Denis Diderot remarked at the Salon, “This bust is of a mean form, the eyes were done without spirit. Some [of the] details are praiseworthy.” Boizot must have been more comfortable molding soft paste, for the Kourakin bust is a much better likeness, startlingly animated in countenance and fluid in form. 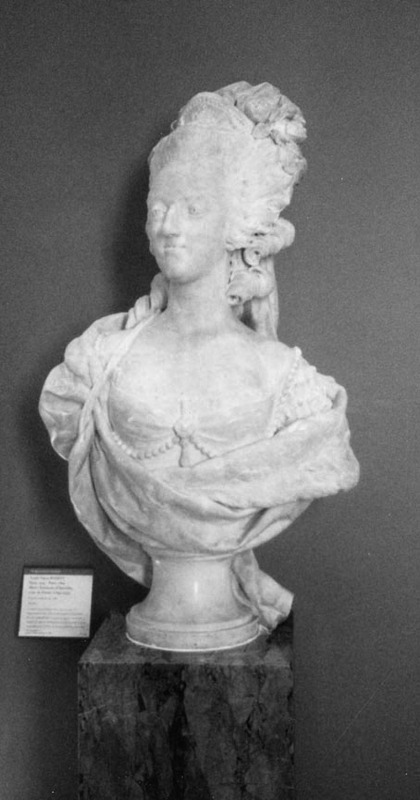 That the queen approved of the sculptor’s renderings of her may be construed from the circumstance that he was permitted to produce so many different versions (grouped into four main types) in marble and biscuit between 1774 and 1785 and that she commissioned him to produce a pair of marble busts of the king and her brother, Austrian emperor Joseph II, in 1777. Louis-Simon Boizot, Marie-Antoinette, marble, 1781, Musée du Louvre, Paris. Despite the formal appearance of such sculptures, scores of genre painters and printmakers from the mid-1780s employed the image of the royal bust in wholesome family narratives to suggest that the king and queen were respected and beloved parents to the professional, merchant, and artisan classes. For example, Pierre-Alexandre Wille painted scenes of emotionally affected fathers sending off sons to fight in the American war, in one of which the patriarch simultaneously gestures to a bust of Louis XVI and hands a sword to the soldier, an invocation to self-sacrifice for the king-nation. Etienne Aubry, who catered to a middle class taste for scenes of ruddy, contented parents attentive to well-fed, rambunctious children, made a drawing of a family of laborers embracing busts of the king and queen, adapted by L. Pauquet for an etching. 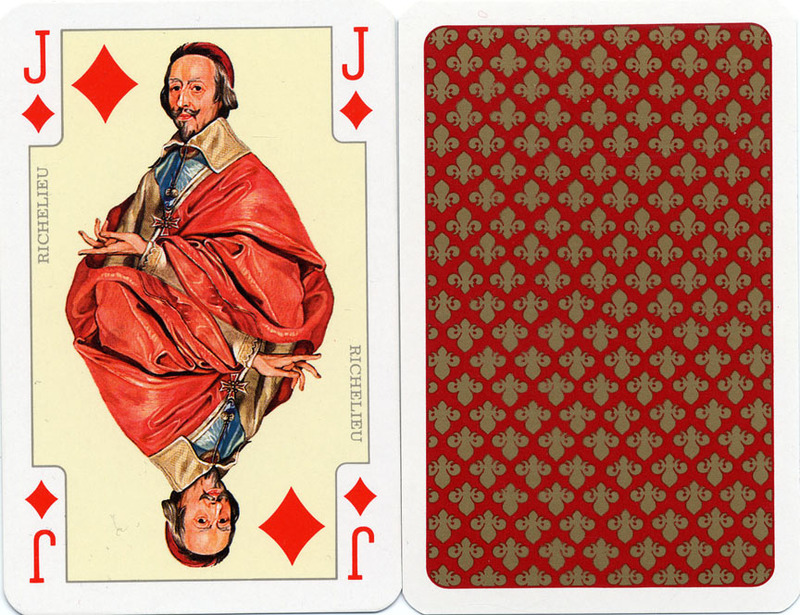 These images made the monarchs seem at once tangible and accessible, worthy of veneration and capable of sympathy. As to the latter signification, the Jacobins (or radicals) who dominated the National Convention (or republican government) ordered the transfer of Marie-Antoinette to the Conciergerie Prison in August 1793. Acting upon mostly outrageous accusations of subversive behavior in the press, the Revolutionary Tribunal tried her and found her guilty of treason (that is, of conspiring to foment civil war at home and seeking the intervention of powers abroad) on 14 October. She was transported in an open cart to the Place de la Revolution and executed by guillotine two days later, her head displayed to the crowd before being dumped with the body in a mass grave at the cemetery of La Madeleine. Most renderings that survive from the period are anonymous and rudimentary prints of the “Widow Capet” being carted to or standing upon the scaffold, although one painting shows the executioner striding forward bearing her head aloft on a pike while a torrent of blood flows from her trunk. A witness to this event chose to render the unfortunate woman in all the gore of her final moment: Anna Maria Grosholtz (Madame Tussaud). Although Grosholtz had been apprenticed to Parisian waxworks exhibitor and Jacobin supporter Philippe Curtius from the mid-1770s, she was imprisoned and slated for execution under the “Reign of Terror”; a high-placed family friend spared her life and thenceforth she found it politic to make plaster death masks of revolutionary “martyrs” and “enemies,” including Marat, Fouquier-Tinville, and Robespierre, which could then serve as models for wax effigies. Curtius, who had established two cabinets de cire –one for royalty and statesmen at the Palais-Royal and another for criminals on the Boulevard du Temple, died in 1794, leaving her the entire enterprise. An ill-timed venture to display around thirty heads of royals and revolutionaries at the Lyceum Theater in London during the Napoleonic Wars prevented her from returning to France, so she toured the collection through Britain and Ireland, reaping profits. Some of Tussaud’s work is still on display at her Baker Street establishment, where she settled in 1834. 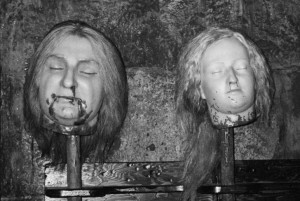 Slightly askew on posts inexplicably mounted to the wall, Louis XVI’s and Marie-Antoinette’s youthful features and smooth complexions seem at odds with the blood-spattered necks and roughly shorn hair. Still, there is something uncomfortable about beholding such effigies, not only because the softly lit and colored surfaces provide the illusion of animate nature, but also because tabloids, pulp novels, carnival rides, and motion pictures have “normalized” the supernatural. Indeed, a large segment of popular culture operates on the presumption that the viewer’s imagination will supply to the eyes movement and malevolence where they do not exist. 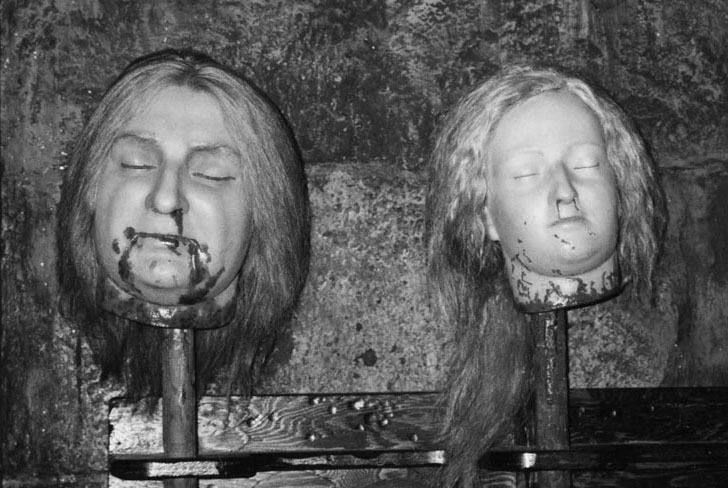 Decapitated heads of Louis XVI and Marie-Antoinette, wax and natural hair, displayed at Madame Tussaud’s, London, 1995. Notwithstanding the macabre content of such fare, toy and candy manufactures have seized upon the idea of the decapitated or floating head to market costumes and confections to children, an enterprise that is most lucrative around Halloween. The Internet boasts scores of high- and low-end “Marie-Antoinette” disguises, modern fantasies of the queen in a blood-drenched white gown carrying her head or in a plunging bustier, mini-skirt, long hose, and high heels—almost all outgrowths of the marketing campaign accompanying Sophia Coppola’s Marie-Antoinette (2006). Indeed, the marketplace’s insistence on highlighting the queen’s well-developed sense of fashion has had the disadvantage of overshadowing her patronage of portraits, interiors, and gardens. The royal lollipop is unique in merging the appearance of a vintage five-color plastic toy with the sweetness of freshly made cherry confection. The consumer is startled by the item’s strange appearance and tantalized by the box top’s invocation to “Let them eat…CANDY!” Yet there is no guarantee that every consumer will respond as directed since he or she brings to the exchange varied experiences and desires. As Toni Morrison has evocatively written in The Bluest Eye (1970), a poor African-American girl growing up in small town Ohio during the early 1940s may well interpret a candy wrapper bearing the design of a blond-haired, blue-eyed child as both an alienating sign of the rights and privileges reserved for whites and an inviting covering for a magic concoction that would allow her to look and act like them. Thus, to the paternal patriotism the French bourgeois might have felt in contemplating the queen’s idealized bust, the macabre humor American consumers might register in consuming her decapitated head, may be added the alienation that the politically and economically disenfranchised might feel in gazing upon her pale pallor. The expansion of the Internet into news, entertainment, and leisure does not seem to have staunched the flow of printed magazines—available at airports, gas stations, grocery and drug stores. My neighbors were cleaning out a garage piled with old newspapers and periodicals when I came upon an August 1991 issue of Family Circle, whose spine offered the assurance that it was the “world’s largest-selling women’s magazine.” The back flap contained a full-page advertisement remarkable for its reliance on a well-known early nineteenth-century portrait. Virginia Slims advertisement, from Family Circle, 13 August 1991. A woman, undoubtedly a model in her early twenties, stands confidently in the foreground, turned forty-five degrees to the picture plane and clothed in French military garb, one hand thrust into a white waistcoat, the other resting on the arm of a gilded fauteuil and grasping a cigarette. Pale, even facial features are cosmetically enhanced with high arched eyebrows, deeply shaded cheeks, and broad red lips, the whole framed by a luxuriant chestnut mane floating two enormous gold spiral earrings. The narrow torso is augmented by a dark blue cutaway coat trimmed with red collar and cuffs, gold braid epaulettes, metallic buttons and medals; the slim legs are accentuated by white breeches and hose, terminating in black patent leather flats affixed with a gold buckle. The hands are the operative signs: while the position of the right is a popular synecdoche for the Emperor Napoleon I, and as such works with the empire uniform, setting, and frame to signify Jacques-Louis David’s Napoleon in His Study at the Tuileries (1812), the gesture of the left is meant to showcase a foreign object, namely Virginia Slims Cigarettes. The impact of the advertisement is thus derived from the viewer’s perception of the woman’s/product’s daring disruption of a visual sign system created by and for men to promote their authority. Two inscriptions clarify the nature of this disruption of visual coda: white script at the top queries, “Ever wonder where we’d be if history had been herstory?,” and yellow capitals at the bottom left declare, “YOU’VE COME A LONG WAY, BABY.” The message is forceful and unequivocal: after centuries of being excluded from the chief cultural and political events of history’s narrative, women are at last emancipated and ready to play and to record a part equal to that of a man. And not just any man. Between 1800 and 1815, Napoleon Bonaparte presided over a series of military and diplomatic victories on the European Continent that allowed him to claim a French empire stretching from the Papal States to the Netherlands along with dependents and allies extending from Spain to Russia. First as Consul and then as Emperor, he also presided over the creation of a strong executive branch capable of reorganizing national and regional governments and instituting a new legal system (the Napoleonic Code) and civil service that oversaw public education, religious worship, tax collection, and law enforcement. To explore in greater depth how the interests of the commodity marketer compare with those of the art historian, it is necessary to consider the origins and content of David’s original portrait of Napoleon. Jacques-Louis David, Napoleon in His Study at the Tuileries, 1812. In 1810, an eccentric Scottish nobleman named Alexander Douglas, Marquis of Hamilton, commissioned David to paint a full-length image of Napoleon that would preside over a collection brimming with busts and miniatures of the Bonaparte family and an impressive array of Egyptian artifacts. Unlike his later female impersonator, the emperor shows sure signs of middle age: thinning hair and cautious gaze rest atop a slack and portly physique disposed in comfortable counterpoise. The uniform, augmented with white winged lapels held with gold buttons, can be identified as that of the Colonel of the Grenadiers of the Imperial Guard. The rendering of the right hand lightly slung into an opening in the vest accentuates his corpulence, and that of the left firmly clutching a gold snuffbox admits the importance of tobacco as a nighttime stimulant. Although a few planes have been flattened and furnishings inserted compared to the original sketch, the arrangement guarantees the balance of horizontals and verticals typical of neoclassical painting. The eye is admitted to this private space only by degrees: the red velvet settee angled like the figure, the mahogany trestle bureau affixed with a lion and piled with writing implements, the wall articulated at the left edge by a monumental pilaster filigreed with grotesques and at the right by a tall case clock registering 4:13 a.m., the recess filled with books—all attributes of the emperor’s private suite at the Château de Tuileries. The low-burning lamp and the early hour of the clock suggest that the emperor has been up all night reading and drafting documents. David himself remarked that he intended it to seem like Napoleon had been hard at work writing the Code Napoléon, signified by a partial inscription on the scroll at right, yet this was hardly to be believed since the Code was a collaborative effort and had been in effect for years. But David was successful in promoting the legend of the emperor tirelessly working for the welfare of his subjects. As sunrise approaches, he rises from his desk, adjusts his uniform, and fastens his sword in preparation to review of the foot soldiers. In this way, he encompasses both civil and military aspects in his person and identity; battles in foreign fields may well have brought him to the elevated position he now holds, but administrative responsibilities at home are consuming an increasingly large share of his time. 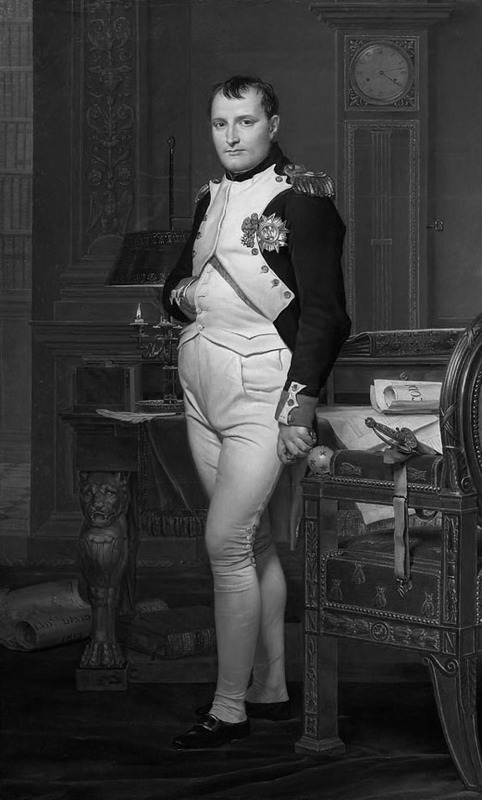 Even before Napoleon’s reign had ended, viewers compared the portrait to slightly earlier fare. Alexandre Lenoir, archeologist and head of the Musée des monuments français, proclaimed it the best likeness ever made of the emperor, the image of a lawgiver among his papers being the perfect companion to that of a conqueror traversing the Alps. Closer to today, Albert Boime embraced this comparison between Napoleon Crossing the Alps (1801) and the Napoleon in His Study (1812) for the purpose of exploring the relative proportions of mythology (his word is “ideology”) and reality in each. As portraits, both are idealized depictions, but whereas the former invested the active body of the hero with ideal qualities, the latter accorded to the inanimate objects surrounding the body with them. In other words, the master of the surprise attack has now become a prisoner of paperwork. Scholars take as axiomatic the idea that Imperial state portraits evidence a clean break with the ancien régime‘s religio-political values, if not always its sign systems: the ancient emblems and medieval regalia that they bear can signify antiquarianism or historical anecdote but never transcendent powers. This may well have been true for many post-Revolutionary viewers, intent as citizens were to break with past political institutions, but it was likewise true that painters built on past visual traditions, among which the eighteenth century’s small- to mid-sized cabinet portraits featuring clerics, aristocrats, and financiers, male and female, engaged in reading or writing within the confines of their libraries and boudoirs, figured prominently. It only remained for a head of state to express the desire to be so represented on a grand scale before a large audience for this domestic occupation to be understood as a political virtue. Napoleon appears to have been the first to embrace this strategy. Thus, David’s portrait of Bonaparte represents a measure of continuity with the Bourbon past, suggesting that the emperor not only bears the martial and legal obligations of modern statecraft but also continues the creative and thoughtful pursuits of the republic of letters. 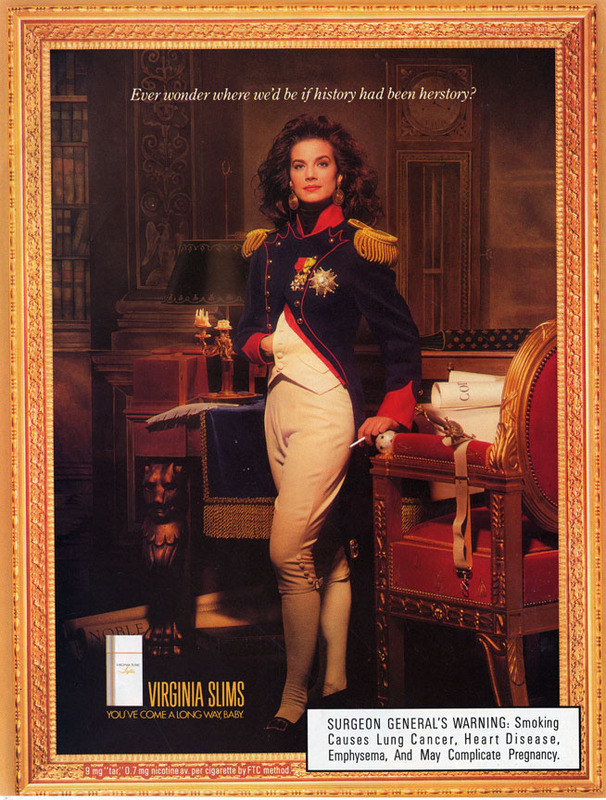 Mention of women’s contributions to Enlightenment texts and images brings us back to Virginia Slims’ use of a model to travesty Napoleon’s portrait. In 1968 the Phillip Morris Company targeted young professional women with a longer, slimmer, and smoke-reducing cigarette. Its marketing consultants, aware of the potential of modeling shots to be seamlessly integrated into realist paintings, conceived the strategy of substituting a young mannequin for a middle-aged monarch. Women’s liberation, it was suggested, consists of being able to appear and to act like a man, as signified by the assumption of military dress and the possession of tobacco. Of course, this only gives rise to more questions. If women’s empowerment over inequities past and present is predicated on her ability to be like a man, does that not constitute a reinforcement of patriarchal values, in this case militant and autocratic ones? Further, if women’s empowerment is facilitated by the consumption of tobacco, does this not contribute to capitalist abuses, the exploitation of labor and the onset of lung cancer? Consumers might have been served better with a portrait of Madame de Pompadour or Catherine the Great standing before a desk piled with papers, holding a cup of Gevalia Kaffe, and pondering, “How might herstory be written?” or “What will herstory say?” Establishing this narrative continues to be a complicated and contested business.